MEDIA GLITCH has a great week for garage sales and found a nice Nintendo NES lot. Plus they do an unboxing of Theatrhythm Final Fantasy Curtain Call. 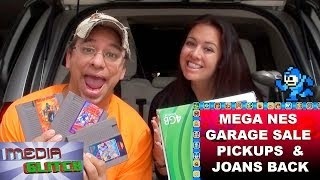 After a long time away Joan decides to go out video game hunting.